Helping Regulators be Future Ready! Today's regulators are under tremendous pressure across three dimensions: the pace of change, the ever-increasing dynamics of risk, and limited resources with which to respond. Regulators are looking for new pathways to efficient and effective financial regulation. Fortunately, technology has come a long way in the past 15 years enabling financial regulators to collect and mine clean and pre-validated data; delivering proactive real-time analytics on the collected data with little to no manual intervention. Gone are the days of collecting printouts and PDFs only to eye-ball them or transcribe them into Excel in order to perform real analysis a month or two later. At the forefront of innovation, and the move towards full automation of financial oversight functions, is Canada’s SQL Power Group. SQL Power’s multilingual, e-commerce and e-signature ready data collection and analytics platform can be configured to automate all regulatory oversight functions; providing regulated entities with a single web portal for all their interactions with their financial regulator including: all registration/license applications, financial returns, and requests each tailored with its own unique workflow. 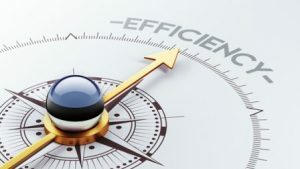 These efficiency gains position the regulator to continually increase the regulatory effectiveness of financial regulation through the fast implementation of new supervisory requirements and immediate access to drill into the numbers behind early warnings of risk. Resources are the greatest constraint on many regulators as they look to respond to the pace of change and dynamics of risk. The first resource is budget: most regulators are funded through a combination of government and administrative fees. This funding is always limited, and must be invested efficiently to maximize the return. The second resource is people: good people are a regulator's most valuable resource, but they must be set up to succeed; unfortunately, the efforts of many of these people are wasted in low value manual tasks due to the limitations of the third resource. The third resource is technology: well deployed technology should create productivity gains by relieving the people resource from mundane, low value data entry tasks and allowing them to focus on high value actions that recognize and address risk filled situations and behaviours. For many regulators, their technology works against them, not for them. Legacy systems that require intense effort from internal teams to adapt to new requirements, if adaptation is even possible. Work flows dominated by manual intervention steps which compromises the return on the people investment and increases pressure on the budget. 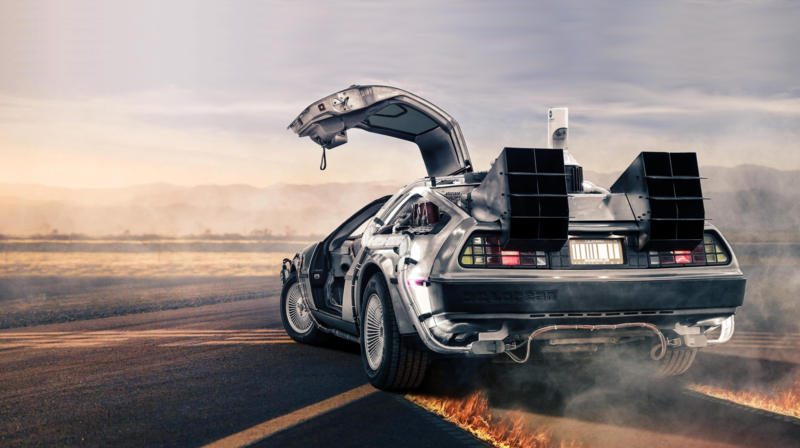 Or new solutions built on old technology infrastructures where modern system advantages like XBRL are non-native "plug-ins" to help get something old to work with something new. SQL Power Suite is a native XBRL solution that allows for fast deployment, rapid adaptation, and automation of collection and analysis to free the people resource to focus on high value work. The SQL Power Suite implementation creates a pathway to efficient and effective financial regulation that will allow regulators to keep up with the pace of change and respond to the ever-increasing dynamics of risk. Imagine for a moment sitting at a console with a comprehensive view of every entity you are responsible for regulating. We need a systemic view that roles up micro data to macro summaries. We need to seamlessly connect to external third-party data sources and draw them into the console. 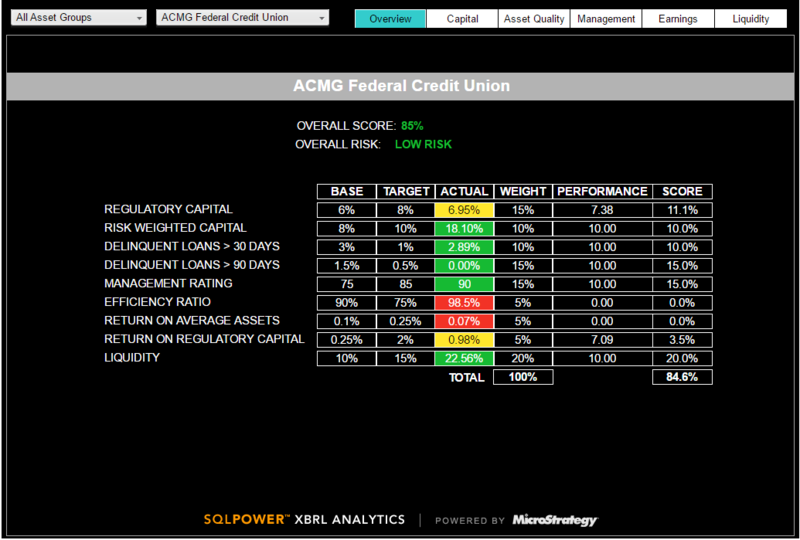 From here the regulator can take a consistent set of calculations to identify overall risk. In addition, it becomes easy to trigger ad hoc reporting requirements for specific sectors or even entities and have them provide the data via the same data collection portal as their regular filings. Let's take the console concept, but switch the perspective from macro to micro. In this view, every detail of your regulated entities is summarized on one screen. Variations from norms are highlighted for your attention. A simple mouse click allows you to drill down to the complete details of any data element that warrants your attention. Despite the vastness of this detail, all of it was assembled automatically through the filings of the entity via your web based portal. These filings were validated in real time, automatically. Initial analysis happened once filed, and those variations from the norm were also identified automatically. What if this command view included the tasking of your examiners and the current progress of those exams. About examinations, what if every exam on the entity was also available from the command view. And from this view the information was automatically sorted to look at everything from current balances to fiscal performance. From this single command console, every individual entity is monitored and managed to ensure compliance and identify risk. 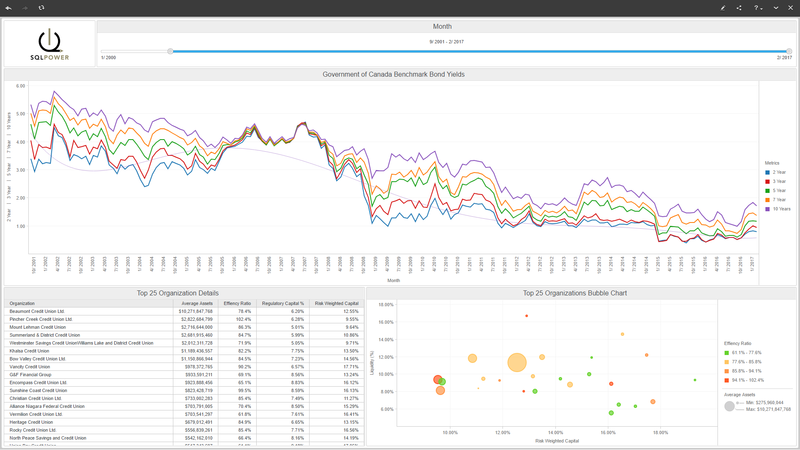 For jurisdictions where multiple sectors are being regulated by one regulator, or where twin peaks models are being implemented, the SQL Power Suite creates an opportunity for deploying a common platform that makes macroprudential and systemic risk assessments easier. Data dissemination, common data collection technologies, and a consistent system architecture allows the regulator, or multiple regulators in one jurisdiction to gain economies in the implementation of system adaptations to match the pace of change with constrained budgets. This is the type of flexibility that positions SQL Power Suite as the pathway to efficient and effective financial regulation to help a regulator be future ready. Want to learn how SQL Power can help your financial regulatory organization be future ready?